Toledo native, UT graduate and retired Sylvania School teacher Alan Thompson completed a 12,000 mile bicycle journey along the perimeter of the United States for charity. An avid cyclist and humanitarian, Alan Thompson raised over $32,000 for Habitat for Humanity and Save the Children. Along the way he assisted with several Habitat projects, learned more about himself, and others on his journey. 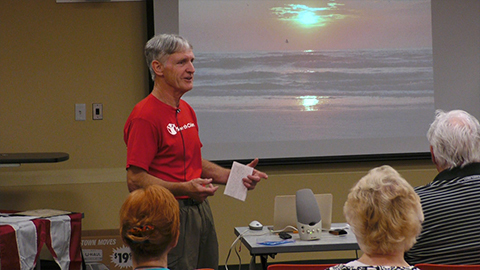 The lecture was held at The Lucas County Public Library, Oregon branch.